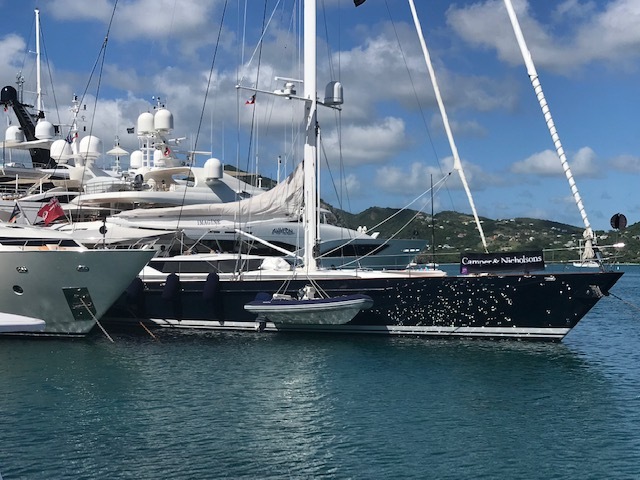 This year’s Antigua Charter Show was one of the best in recent years, in terms of the quantity and quality of yachts on show as well as the attendance, with visitors from all parts of the globe, including a substantial contingent from Mallorca. Team Islander was a part of this posse, managing to visit every yacht in the show distributing our December issue. We were very well received by crew and captains alike and happy to hear very positive comments about our magazine. 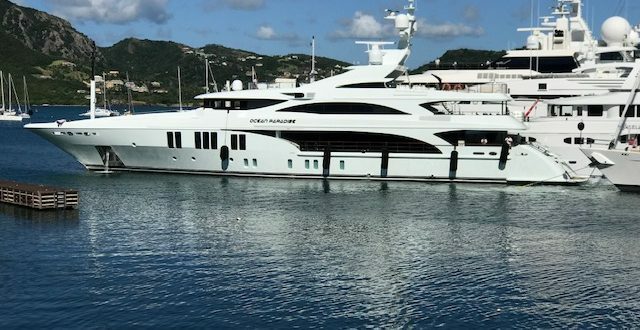 The show is split over three marinas, all within walking distance of each other, Falmouth Harbour Marina, Antigua Yacht Club marina and the famous Nelsons Dockyard, which is now part of a national Park. 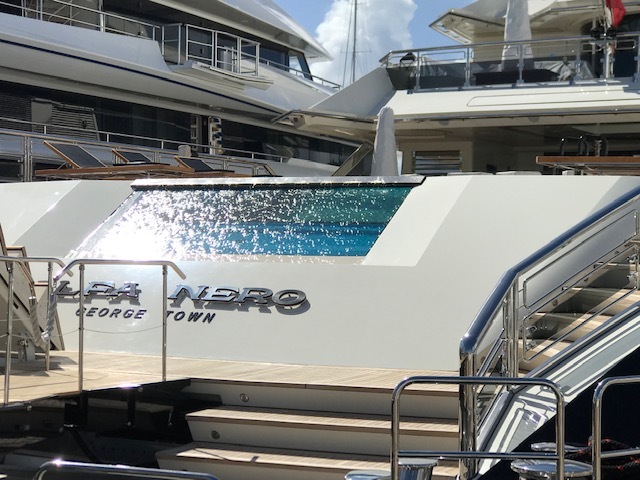 Being a split site means that the show appears to be relatively quiet in terms of footfall, but this helps enormously to get onboard the yachts as there is much less pressure on them. 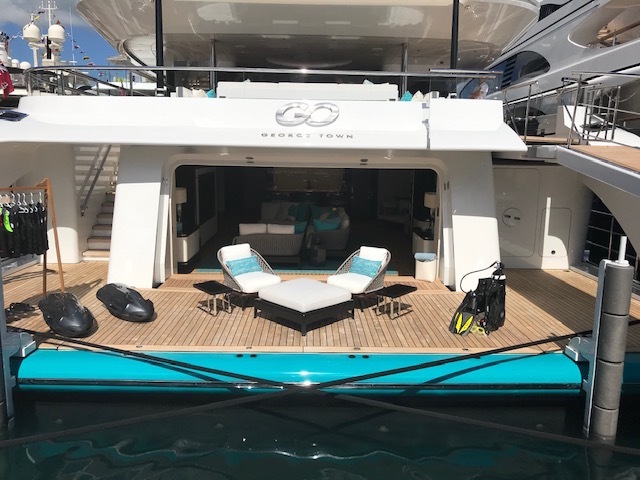 Our two favourite yachts of the show were the new beautiful M/Y Go, sporting a Turquoise livery matching the yard of the same name in Turkey from where she was launched in June. Very different and a classic from 1966 was the beautiful Sherakhan. This was the only Dutch flagged yacht at the show and is just gorgeous throughout. Originally a cadet training ship, but transformed into a private Superyacht in 2004, with several refits since she is a real showstopper. Lots of nice original features, coupled with the very latest modern touches, she has the perfect combination in my eyes. 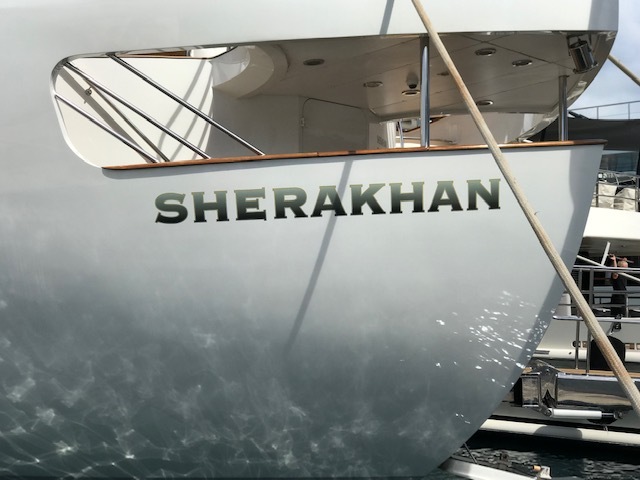 With 82 yachts in the show, and five days of opening, you can easily get around the show in three days, with time to spare. The by-product of this is there is plenty time to network around the show area, with lots of venues suitably equipped with Rum Punch to facilitate these meetings ! Indeed the whole area makes the show very enjoyable from a business and a social point of view, with people in a nice relaxed environment. Other shows could learn a lot from their model ! We will definitely be returning next year ! !